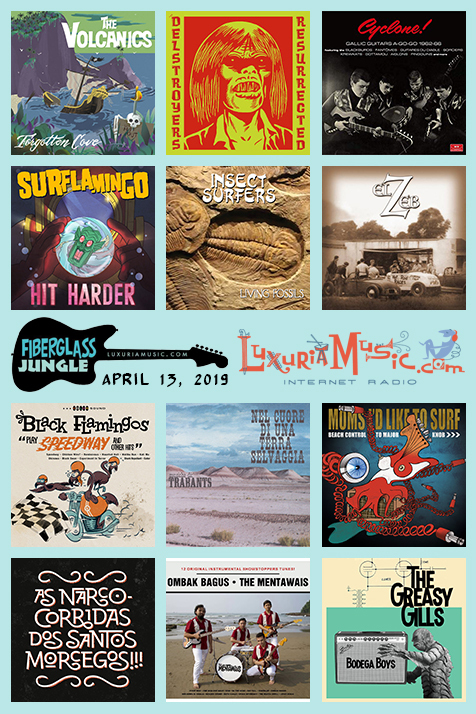 SurfGuitar101.com | Forums: FIBERGLASS JUNGLE - Saturdays 2-4PM Pacific on Luxuriamusic.com! 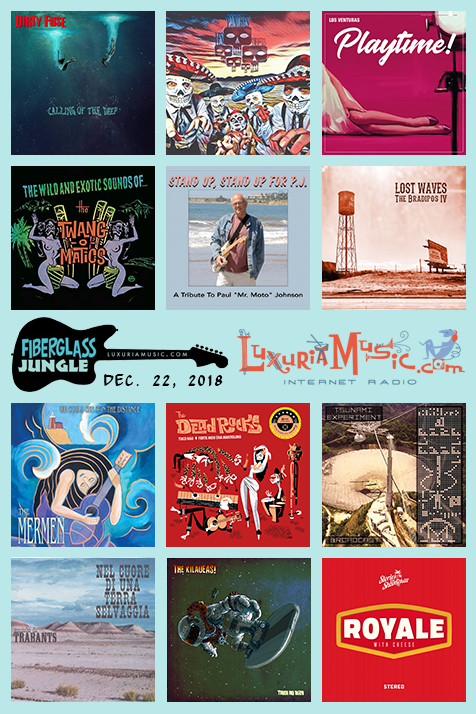 FIBERGLASS JUNGLE - Saturdays 2-4PM Pacific on Luxuriamusic.com! Thanks for listening and supporting Surf instrumental music all around the world! Sorry, been down with the flu. Another brand-new show today! Tons of fresh, recent, creative, exciting Surf and similar instrumentals for a rainy Saturday afternoon! Thanks for spinning "Skinny Dip" - dedicated to Lorenzo, I'm sure! The next two weeks are Luxuria listener sponsorship drive! 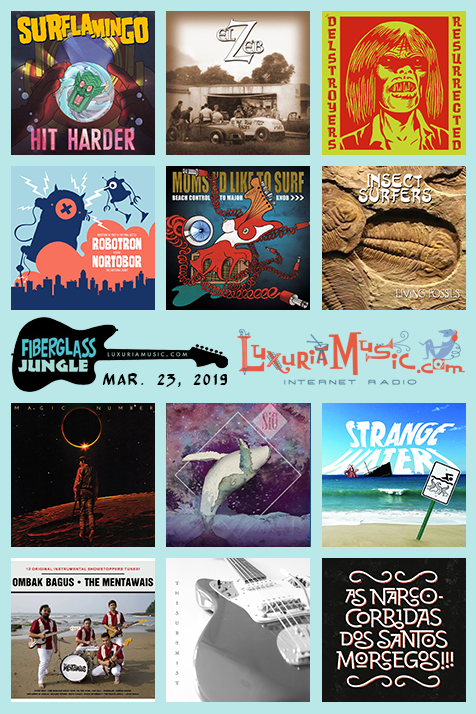 Tons of cool stuff as incentive to donate to help Luxuria pay the bills and show them that the Fiberglass Jungle listeners really do care! Please tune in and help Mar 2 & 9 2-4PM PST. Thanks so much for listening and supporting the bands and labels played on the show! That's really what it's all about! Along those lines, I'm in the process of stepping things up in a major way as the 6th anniversary of Fiberglass Jungle approaches! Things will be more organized, more timely and there will be a couple of new "home base" web places where more details, discussion, images, links and other relevant information will be regularly posted. Sounds great! LOVE this show! I tuned in just in time to hear "Crystal Cove"! Thanks for the spin JP! Thanks for listening and the support! It is sincerely appreciated! Brand-new show today featuring a TON of new music, some special previews and a spotlight on some East Coast US bands! Insanely great show as always and thanks for the spin! "DIABOLICAL!" is out!! LP, CD, Digi! Just passed the 6 year anniversary! Thanks so much for tuning in and supporting the bands played on the show! As Narco-Corridas Dos Santos Morcegos!!! "See You Next Time Space Cowboy"
"Ballad Of The Electric Monk"
Instrumentals In The Key Of Boss! 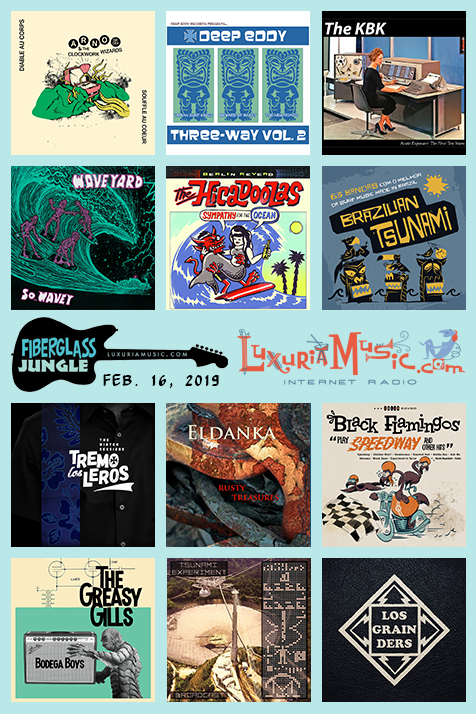 Thanks for listening and supporting the bands and labels that support the global Surf family! Another great show Jonpaul - Fiberglass Jungle has become the Sunday morning soundtrack in casa Durango!